Stand up with pride for Evergreen. As a ForEvergreen Circle donor, you will champion an inclusive and equitable campus, a learning environment that empowers compassionate leaders, and a distinguished and dedicated faculty that embraces our distinctive approach to education. The real impact of your generosity will extend far beyond the college. Your gift will inspire students of all backgrounds to reach their full potential as educators, entrepreneurs, artists, public servants, and engaged citizens. With your help, today's Evergreen students will become leaders who shape a brighter future. 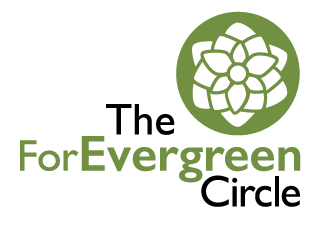 Designate your gift to the Evergreen Annual Fund and we'll direct your support towards priority funding needs that benefit scholarships, academic programs, and research. To designate your gift to another fund of your choosing please make your selection below. Thank you for being ForEvergreen. The Evergreen State College Foundation is a 501(c)(3) nonprofit organization, and gifts are tax deductible to the extent permitted by law. 100% of your gift supports The Evergreen State College, 95% directly supports programs.